If summer feels boring for your kids, teach them to draw. “But I don’t know how to draw,” you moan. Well, Mona Brookes shows you and your child how to “see” objects and the space around them and be able to draw it quite accurately. This isn’t a book where you draw a circle for the head and a bigger circle for the body. No, this gem of a book moves you from contour drawing to more detailed endeavors. You will be amazed at how quickly your child’s drawing (and your own,) progress into lovely works of art! I like using it as a jumping off place for writing a story or poem to go along with the illustrations. It’s a great book for whole family participation. I love the way Mona Brookes sets the stage for success. Her first chapters are about how you feel about your own drawing ability, then changing your attitudes and allowing the artist within, permission to unfold. She talks about creating a supportive climate with communication. Adults and children both have a natural starting place. 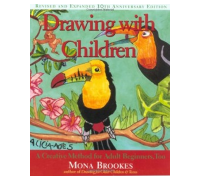 The book progresses step by step, with lots of illustrations and provides both parent and child the confidence to draw. 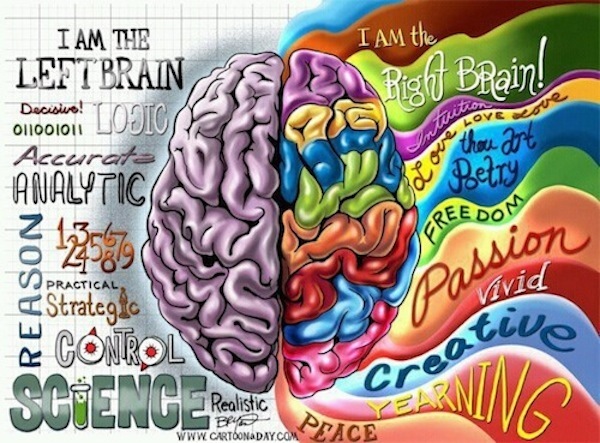 Right-brain thinking is quite a contrast to the left brain. It takes both sides to develop a well rounded individual. Any type of activity that stimulates creativity and seeking different ways of thinking help develop the brain. 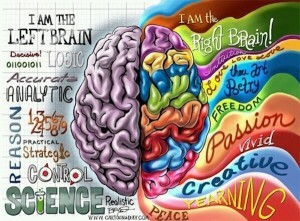 Talk to the family or your students about these different sides of the brain. Write a journal entry about it. Now is the time to get started and enjoy the process. You will be amazed at how quickly everyone in the family will feel good about their creations!